It seems like every couple of years engineers who are in charge of building and designing cruise ships top their last feat in size. So we decided to share a cohesive list of the 10 Most Largest Cruise Ships Ever Built. These ships are so large that to a normal person, you aren’t quite sure how they float so majestically on the water. They really are some of the greatest engineering feats that sometimes goes heavily unnoticed. Of course every time a new cruise ship is created it is considered not just bigger but better than its predecessor. What those who venture into these vacations at sea should appreciate is the fact that safety is at an all time high for these ships. There are all sorts of errors that could occur but safety is always taken to the next level each time a new design is created. Enough of the praise for these large vessels, check out our list of the 10 Most Largest Cruise Ships Ever Built below. 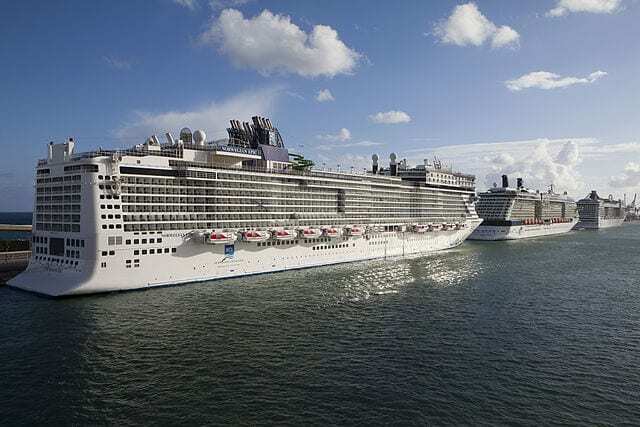 The Norwegian Epic gives us fresh start from the Royal Caribbean dominant list. It has an incredible length of 1,081 ft. and is still one of the greatest marvels. 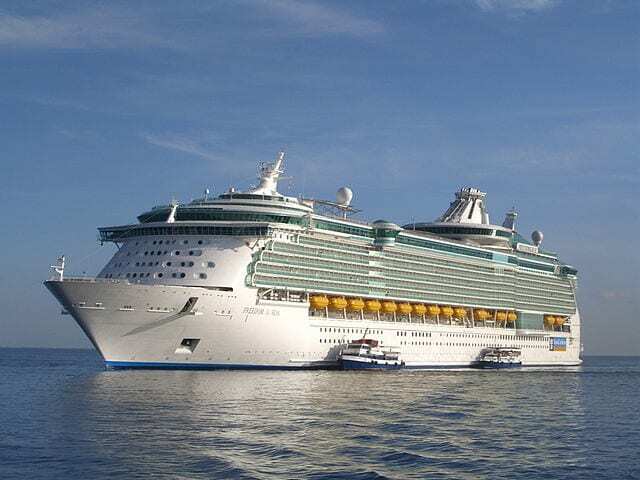 Liberty of the Seas is the first of eight Royal Caribbean Cruise ships on the list and interestingly enough, it shares the same 1,112 length as the next ship on the list. It was launched just one year after it and was an instant hit with cruise lovers. Freedom of the Seas is another one of the eight Royal Caribbean Cruise Ships that rule this list. It comes in with an incredible length of 1,112 ft. It was one of the greatest spectacles at the time of its creation in 2006 but has quickly become old news. 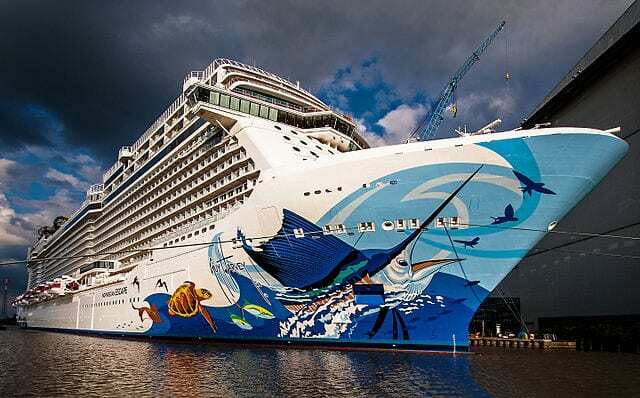 The Norwegian Escape issues us another break from Royal Caribbean and while it is smaller in length at 1,069 ft. It is considered larger than the aforementioned ships due to its gross tonnage of 165,157 GT. 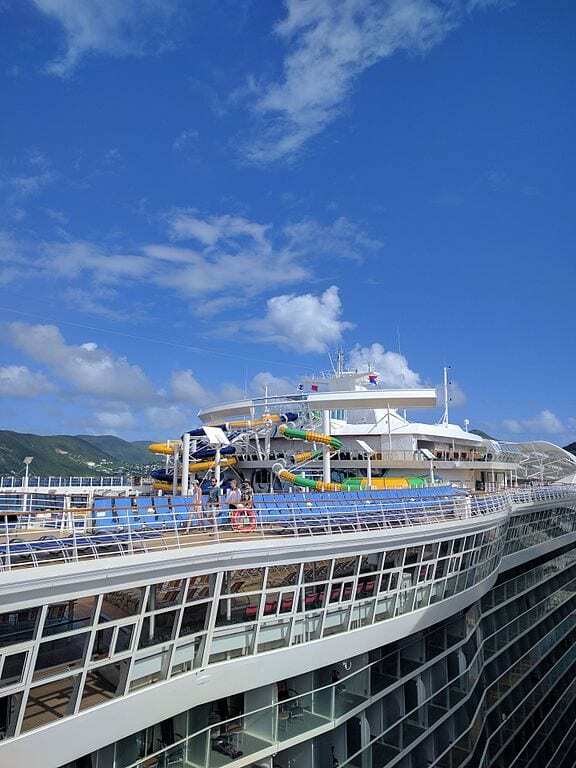 Just like that we are jumping back into the Royal Caribbean team where we will stay for the remainder of the list. 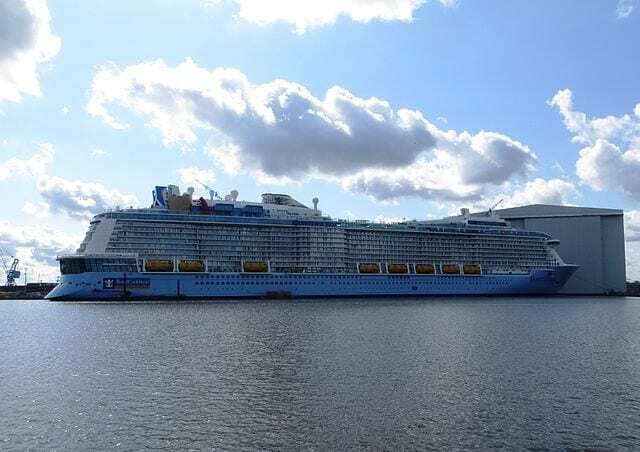 Anthem of the seas has the gross tonnage of 168,666 at a length of 1,139 ft.
Ovation of the Seas shares the same gross tonnage of the Anthem of the Seas, however, it is longer than its brother with a length of 1,142 ft.
Quantum of the Seas shares the same overall dimensions as that of Anthem of the Seas and we should mention that the last three of these ships released just a year apart. 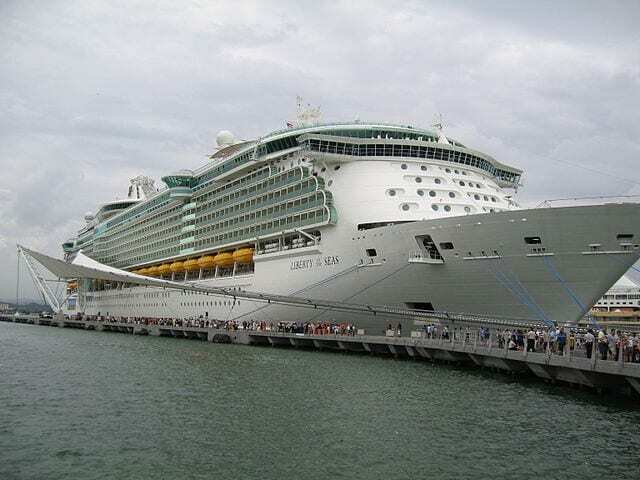 The Oasis of the Seas was a game changer for Royal Caribbean in 2009. 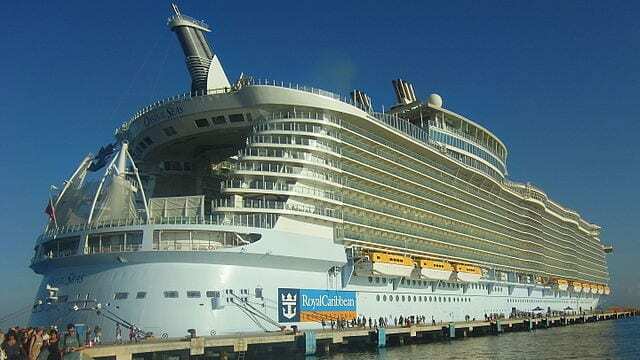 It assumed the spot of number one when ranking the most largest cruise ships in the world. 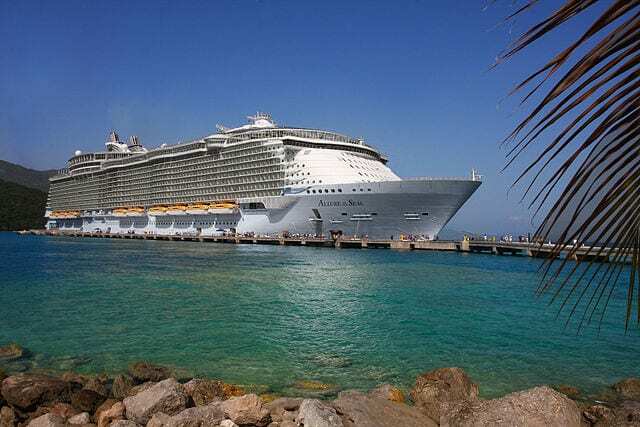 It had a gross tonnage of 225,282 at a length of 1,187 ft.
After the Oasis of the Seas set the bar, Royal Caribbean could only go up. In 2010 they managed to tie the Oasis with the Allure of the Seas. 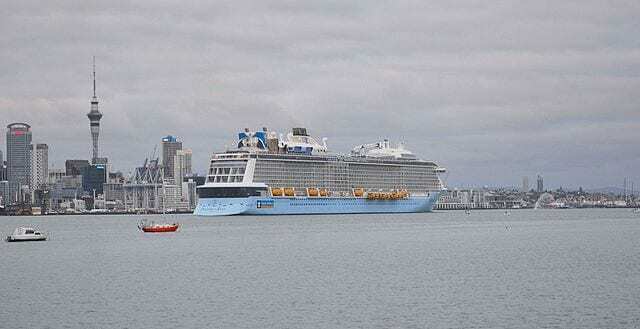 This ship is identical to the Oasis of the Seas in length and gross tonnage. 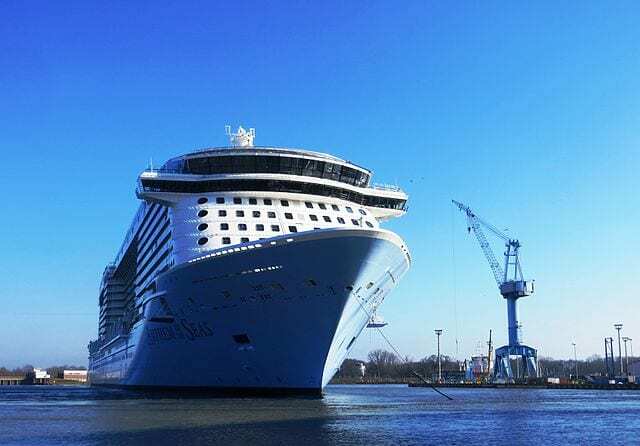 Royal Caribbean drastically increased the gross tonnage for the Harmony of the Seas with a whopping 226,963. Though, the ship only lengthened by 1.1 ft. It is currently the largest cruise ship in the world at the time of this article’s publishing.